The job holder is responsible for ensuring that all country and regional procurement and contract management activities are managed and executed effectively with a commercial focus, to deliver impact, results and to achieve the spend target. · Ensure all procurement cycle processes are carried out to achieve value for money, transparent and adhere to good procurement practice. · Ensure all procurement decisions are each taken in line with TMEA governance structures and processes. · Providing appropriate procurement advice, support, guidance and challenge, at all stages of project cycle, especially at initial design stage, business and procurement planning, including progressing pretender market engagement opportunities and also including contract management. · Detailed familiarisation with all projects and mobilisation plans across relevant Country and Regional teams and their link to the Results Framework. · Schedule, organise and remind attendees to discuss procurement plans and strategies on at least a monthly basis, store up to date respective procurement plans, develop a system of monitoring on-going and up-coming work and ensure that every process is up-to-date, and information is real-time in teams. · Regularly review Regulations and Procurement Procedures Manuals and submit any changes/ improvements for approval to the Procurement Manager. · Lead on the reporting of KPIs to senior management and Board. · Manage all supply side interactions during procurement cycle processes, including responding to tenderers queries in a professional and timely manner. · Draft advertisements, pre-tender market engagement material, tender documents including but not limited to expression of interest (EOI), request for proposals (RFP), invitation to tender (ITT), timetable/s and contract management documentation, and when approved, place them in agreed publications, websites, as applicable. · Lead and guide evaluation panels on evaluation process and evaluation criteria whilst ensuring fairness and consistency to desist from prejudice to suppliers. · Draft evaluation reports on all submissions made at all tender processes for presentation to TC and/or PrD. · Conduct notifications of TC outcome to all bidders and provide clear, objective, useful supplier feedback, in a professional and timely manner. · Organise for pre-contract due diligence (DD) where it is required. · Prepare draft contracts for signature, ensuring that supporting documentation, are approved at the appropriate level and consistently with accuracy. · Monitor issuance of contracts and receipt of signed versions back from consultants whilst ensuring that no consultant/ suppliers are engaged without a fully signed contract. · Ensure relevant key and supporting documentation relating to contracts is stored electronically and is easily retrieved especially by people outside the procurement team. · Assist teams in undertaking contract management, including monitoring performance by consultants/ companies, reviewing receipt of reports and assisting teams in quality control/ assurance. · Ensure that all contract amendments are drafted on time once sound justification is done and comply with the procurement policy. · Maintain and continually update relevant registers, for e.g. contracts, procurement plans, log, adverts, etc. · Assist with training programmes and deliver content as necessary. · Develop and adopt a customer/programme-centric, problem solving approach to protect and deliver the Results Framework. · Develop and maintain strong relationships with all internal and external stakeholders, including TMEA colleagues, partners and donors and meet with them regularly with country and regional colleagues to provide relevant advice and guidance, specific to circumstances. · Demonstrate prudence, sound judgement and appropriate and timely escalations in management of all types of risk (including fraud risk) applicable to role. · Contribute to the development/revision of tools and procedures to document and share knowledge, incentivise staff/teams and enforce compliance and standards. · An undergraduate degree or post graduate degree from a recognised university. · Full membership of and certification by relevant professional body (such as CIPS or KISM). · For undergraduate degree holders, a minimum of five years relevant experience preferably in a busy medium sized organisation OR a postgraduate degree plus a minimum of three years’ relevant experience. · Working knowledge of procurement best practice in East Africa. · A good TMEA team player. · Good oral, written communication and presentation skills. 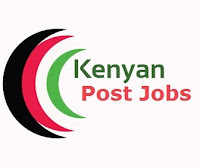 The job holder will support the Human Resources Director and team in designing sound talent attraction, management and development strategies, policies and procedures that ensure that TradeMark East Africa (TMEA) attracts and retains skilled and highly motivated staff. S/he will work in collaboration with colleagues within the unit to ensure the delivery of effective and efficient service and the provision of an enabling working environment. · Manage the recruitment and selection process using good practice, objective and fair resourcing strategies, practices and procedures necessary to recruit and hire a competent and skilled workforce. · Drive key resourcing initiatives forward such as inclusive hiring, implementing technology to make hiring more efficient and driving creative solutions to attract top talent. · Support line management in forecasting and planning workforce requirements and development of talent pipeline and resourcing plans that are aligned to the unit/business strategy. · Prepare periodic reports on resourcing activities and progress towards agreed targets. This will include setting and monitoring key performance indicators. · Work closely with other HR colleagues to develop and implement best practice HR strategy, policies, programs and initiative that enhance overall business performance. · Contribute to the review of human resources policies and procedures and ensure their effective implementation in a way that strengthens awareness, accountability and professionalism across the organisation. · Participate in the development and operationalisation of programmes, procedures, and guidelines to help align organisational talent with the strategic goals of the organisation. · Provide guidance on change management initiatives relating to organisational, team and job restructures in order to enhance efficiency and economy. · Participate in the monitoring of HR compliance issues and undertake general HR functions. · Build and equip line management with appropriate tools and knowledge to enhance effective team management. · Provide ongoing advisory services and support to the staff on human resources related matters, policies and procedures. · Provide exceptional HR service delivery to assigned teams, including day to day support. · Ensure continuous self-development on knowledge of legal requirements related HR management thus reduce legal risks and ensure compliance to organisational requirements. · An undergraduate or postgraduate degree. · A post-graduate diploma in Human Resource Management. · Full Member of the Institute of Human Resource Management or equivalent. · Undergraduate degree holders will have at least seven years relevant work experience in an organisation that is similar to TMEA in scope and context, while postgraduate degree holders will have at least five years relevant work experience. · Experience within the East African region is essential. · Demonstrable experience in the key functions of HR is essential. · Proven ability to maintain confidentiality and delicately solve sensitive matters. · Good leadership and people management skills. · Sound decision making and judgement skills. · Excellent relationship management and negotiation skills. · Ability to work under pressure and within tight deadlines. · Ability to effectively interact with internal and external stakeholders in potentially strenuous situations. · Attention to detail and quality orientation skills. · Proficiency in MS Suite of packages. · Ability to drive value through effecting sound human resources initiatives. The job holder will cover all generalist aspects of HR including the implementation of HR processes that support the achievement of the organisation’s goals and objectives. The role involves external representation of TMEA, mainly to HR-technical related bodies. The job holder shall be expected to visit country offices in order to ensure adequate understanding of TMEA operations and needs and to be able to provide relevant support. The Programme Officer’s primary role is to support Directorates under Outcome 2 (Private Sector Advocacy, Women and Trade, Export Capability, and Transport and Logistics) in developing and rolling out programmes as well as ensuring that Project Cycle Management principles are applied across the portfolio. Core duties include project planning and implementation; mobilisation, monitoring, evaluation, learning and dissemination; quality assurance; reporting; communications, and coordinating Country Programmes and Implementation Partners and events. · Develop and monitor programme mobilisation, budgets and expenditure, in line with TMEA policies and procedures and ensure compliance. · Demonstrate prudence, sound judgement, appropriate and timely escalation to the management all types of risk (including fraud risk) applicable to the role. · Complete all relevant mandatory training within the stipulated timelines. · An undergraduate or postgraduate degree in Economics, Political Science, International Development, International Trade, Finance, Business Administration, Enterprise Management or another relevant field. · For undergraduate degree holders at least five years relevant experience and for postgraduate degree holders at least three years of relevant experience preferably in, private sector or civil society engagement preferably in East Africa, project management, research, and report writing. · Support the implementation of interventions that enhance the capacity of women to effectively participate in trade and increase their trade values and incomes. · Support country implementation engagement, implementation plan and assist in its extension to, and coordination with, the overall regional programming. · Support knowledge and results management to ensure consistent monitoring and timely evaluation of key projects to assess impact. · Demonstrate prudence, sound judgement and appropriate and timely escalations in management of all types of risk (including fraud risk) applicable to my role. · An undergraduate or postgraduate degree in Economics, Business Administration, Political Science, Public/ International Affairs. · Training in Programme/ Grant Management, Regional Integration, Trade or International Development or other relevant field would be an added advantage. · Strong research, oral and written communications and stakeholder coordination skills are essential. · For undergraduate degree holders, at least seven years of proven experience in programme/project/grant management in private sector development, value chain, logistics) and/or private sector or civil society engagement in East Africa. Post graduate degree holders will possess at least five years of relevant experience. · Knowledge of Kiswahili/or French would be an advantage. The job holder is responsible for providing strategic direction to the TradeMark East Africa (TMEA) Standards and Sanitary & Phytosanitary Measures (SPS) programme, whose goal is to minimise the use of standards, technical regulations and SPS measures as barriers to trade, nationally and regionally, in the East African Community (EAC). In particular, the Director provides technical guidance to TMEA country programmes, the TMEA-EAC Partnership Programme (TEPP) and the regional programmes based in Nairobi to support relevant national ministries, departments and agencies (MDAs), the EAC Secretariat and the private sector to adapt international practices in developing and enforcing compliance to standards, technical regulations and SPS measures in the EAC context. · Develop the overall strategy for TMEA’s Standards and SPS programme for supporting implementation of the relevant aspects of trade facilitation within the context of international and regional laws and policies such as the EAC SQMT Act, the EAC SPS Protocol, the WTO TBT Agreement, the WTO SPS Agreement, and the WTO Trade Facilitation Agreement. · Provide technical guidance to the EAC Secretariat and the Partner States, through the country programmes and TEPP, to develop and implement trade facilitating standards and SPS strategies aligned with the relevant international, regional and national laws and policies. · Network and maintain strong professional relationships between TMEA and its implementing partners such as the EAC Secretariat, MDA’s and the private sector. · Build and maintain synergies between TMEA and other Development Partners involved in related initiatives. · Represent TMEA at high-level implementing development partner engagements related to Standards and SPS. · Collaborate and provide guidance and input to other TMEA programmes whose interventions may impact standards and SPS-related activities. · Develop and oversee implementation of the TMEA Standards and SPS programme initiatives in accordance with agreed business and work plans. · Supervise and guide consultants as appropriate, in the area of Standards and SPS both at regional and country programme levels. · Support the EAC Secretariat and the relevant MDAs in the Partner States to develop and maintain rigorous monitoring and evaluation systems in tracking progress of the implementation of laws, decisions and policies with regard to Standards and SPS. · Collaboration with the Results team to develop and maintain a monitoring system for TMEA’s workstream on Standards and SPS comprising qualitative and quantitative indicators for all expected results. · Define and carry out a communications and visibility strategy for TMEA’s work on Standards and SPS in collaboration with the Communications team. · Enhance understanding of the contribution of Standards and SPS interventions towards the broad objective of trade facilitation among TMEA staff and stakeholders. · Guide the preparation of regular financial progress reports, and provide regular briefings and updates to TMEA Management structures. · Contribute to the preparation, submission and presentation of progress and annual reports against agreed business and work-plans. · Participate actively in external reviews and evaluations. · Provide leadership, support and mentoring to the team including undertaking performance appraisals. · Ensure compliance with Project Cycle Management (PCM) guidelines by the team in terms of project design, procurement & contract management, outcome/output-based planning, reporting and financial management, and results-oriented monitoring, learning and evaluation. · Lead teams in regular informal and formal reflection, knowledge sharing and learning events. · Quality-assure tools and procedures to document and share knowledge, incentivise staff/teams and enforce compliance and standards. · Apply the highest standards of controls and risk management practices and behaviours and embed a positive risk and control culture in all aspects of the Standards and SPS programme, including due diligence in all programming activities. · Demonstrate prudence, sound judgement and appropriate and timely escalations in management of all types of risk (including fraud risk). · Promote and adhere to TMEA’s core values, and ensure compliance with organisational policies and procedures. · Undergraduate or Master’s degree in Business Administration, Economics, Development Studies,Agricultural Sciences, International Trade, or related field. · Professional accreditation or development courses in trade policy, trade facilitation, quality infrastructure, food science or related areas will be an added advantage. · Undergraduate degree holders will have at least 12 years’ of relevant working experience while postgraduate degree holders will require at least 10 years’ of relevant working experience (i.e. experience gained while working in regional integration, market access, product regulation and related areas). · At least five years of leading and managing programmes related to trade and regional integration / development co-operation in EAC countries (Burundi, Kenya, Rwanda, South Sudan, Tanzania and Uganda). · Demonstrable experience working at the regional level in the EAC or other regional organisation on regional quality infrastructure, standards harmonization and improving administration of regional SPS measures. · Experience working with private sector and civil society to support trade related advocacy in the area of Standards and SPS. · Strong leadership and management skills, including the ability to provide strategic guidance and technical oversight to teams. Demonstrate personal qualities and credibility to lead, develop and motivate staff. · Ability to establish and maintain strong collaborative partnerships/relationships with development partners, partner government agencies, civil society and private sector organisations/associations. · Good understanding of the Standards and SPS related dynamics affecting trade at national, regional and multilateral levels. · Excellent oral and written communication skills. Demonstrable experience in written, analytical, presentation and reporting skills. · Excellent interpersonal skills with demonstrable experience networking at various levels with public and private sector, and international partners. · Demonstrable ability to influence others to achieve objectives and gain consensus and collaboration. · Sound decision-making and judgement capabilities, as well as good problem solving and analytical skills. · A self-motivated individual who requires minimal supervision.